While Iceland has been busy bragging about having “eradicated” people with Down syndrome from their country through abortion, Italy has also been putting Down syndrome in the spotlight. 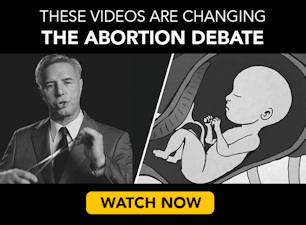 But instead of highlighting the killing of preborn people with the condition, they are singing the praises of their new hero, a teenage boy with Down syndrome who saved a young girl from drowning. In July 2017, 17-year-old Valerio Catoia was at the beach with his father and younger sister when they heard two girls crying for help. Catoia has been swimming since he was three and has become a strong enough swimmer to participate in the Special Olympics. He even trained in rescuing people at sea. So when he heard the girls, ages 10 and 14, calling for help, he was more prepared than many others to go in the water. Catoia receives an award for his act of heroism. According to Aleteia, the tide was preventing the girls from swimming to shore. As they were being dragged out to sea, Catoia and his father ran in and Catoia helped the younger girl. He positioned her so her head remained above water as he swam with her back to the shore, and his father followed suit. Lifeguards arrived on the scene, but father and son had already saved the day. The heroic moment was featured in newspapers across Italy. 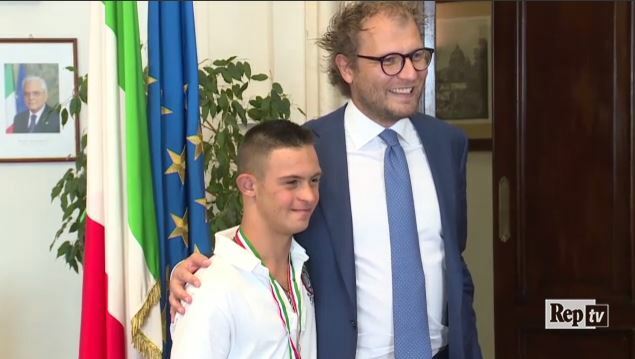 Former prime minister Matteo Renzi spoke about Catoia’s bravery, and the Italian Sports Minister Luca Lotti expressed congratulations and awarded him with a medal as well as a video message from world championship athletes. Catoia was an overnight sensation. Italy has strict laws regarding abortion compared to much of the Western world. Abortion is allowed for any reason up to 90 days and after that only in cases in which the health of the mother is at risk or the child is diagnosed prenatally with a health condition such as Down syndrome. But what’s most interesting about Italy is that there aren’t many doctors willing to perform abortions. Law 194, signed in 1978 and approved by popular referendum in 1981 allows doctors to refuse to perform abortions on moral grounds. As a result, seven out of ten doctors in Italy are unwilling to abort children. Since most doctors won’t commit abortions after 90 days, it means people with Down syndrome like Catoia get to do what is unthinkable in countries like Iceland. In Italy, they are allowed to be born, to live, and even to save people from drowning.